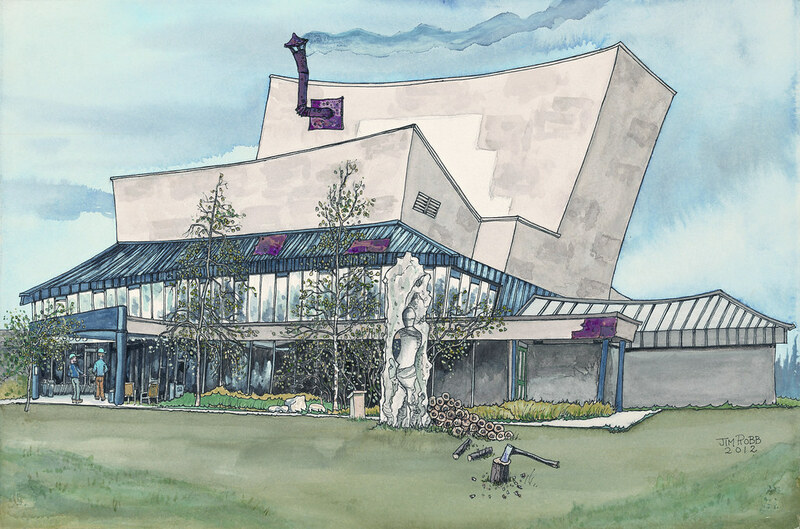 In 1995, the Yukon Arts Centre began acquiring works of art by Indigenous and Northern artists – art significant to First Nations and Northern Canadian people in its representation of their experiences. Today, our Permanent Art Collection is comprised of over 100 critical works portraying a range in style and mediums including paintings, drawings, sculptures, installations, mixed media, photography and textiles. Representing both contemporary and historically relevant artists, this body of work is a profound testament to the unique nature of the land and the people of Northern Canada. It is also a significant display of the artistic talent that exists in this part of the world. Presently, the Yukon Arts Centre does not have an exhibit space dedicated to our Permanent Art Collection. We are working towards creating a digital art gallery space which will allow us to share the YAC collection with a much greater audience. The Yukon Arts Centre, in its pursuit to engage all citizens with exhibitions and educational programming that highlights First Nations culture, believes strongly that this body of work lends great cultural value to the Yukon experience and the Canadian art scene as a whole. Highlights include original illustrations by the iconic artist Ted Harrison of The Cremation of Sam McGee and The Shooting of Dan McGrew, Ron Bolt’s monumental triptych Yukon Micro, sculptural work Tendency by Anishnabe artist Michael Belmore, as well as the art of Carl Beam, Doug Smarch Jr., Ken Anderson, Jim Logan and Jacqueline Olsen, to name but a few.